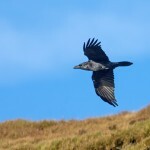 Raven Corvus corax The common raven (Corvus corax), also known as the northern raven, is a large all-black passerine bird. 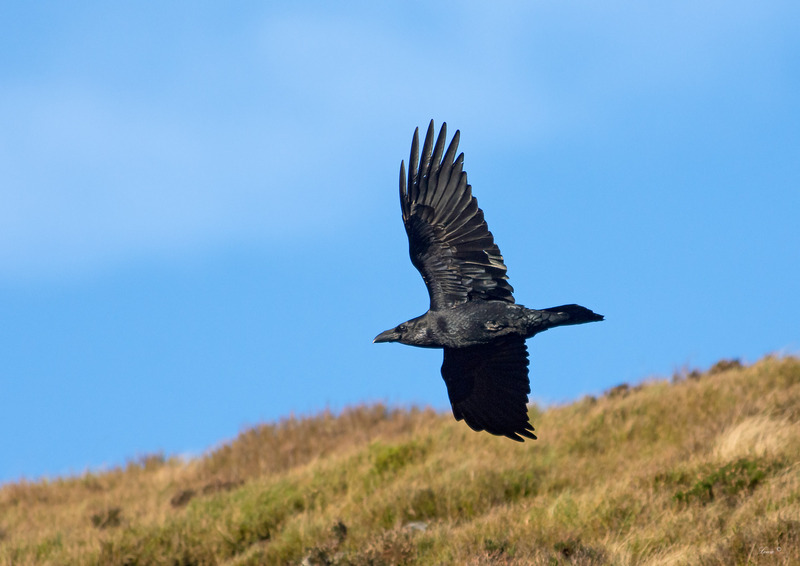 Found across the Northern Hemisphere, it is the most widely distributed of all corvids. There are at least eight subspecies with little variation in appearance, although recent research has demonstrated significant genetic differences among populations from various regions. 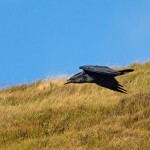 It is one of the two largest corvids, alongside the Thick Billed Raven. 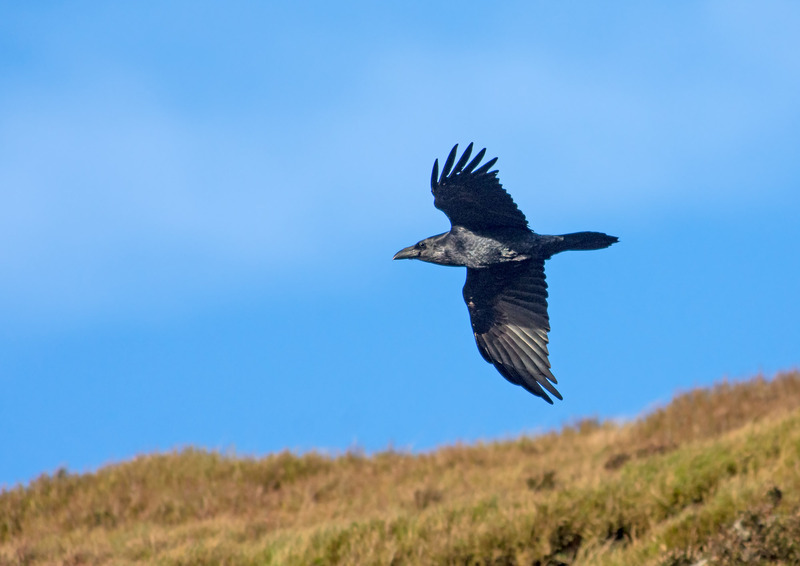 and is possibly the heaviest passerine bird; at maturity, the common raven averages 63 centimetres (25 inches) in length and 1.2 kilograms (2.6 pounds) in mass. 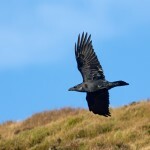 Common ravens can live up to 21 years in the wild, a lifespan exceeded among passerines by only a few Australasian species such as the satin bowerbird and probably the lyrebirds. Young birds may travel in flocks but later mate for life, with each mated pair defending a territory. 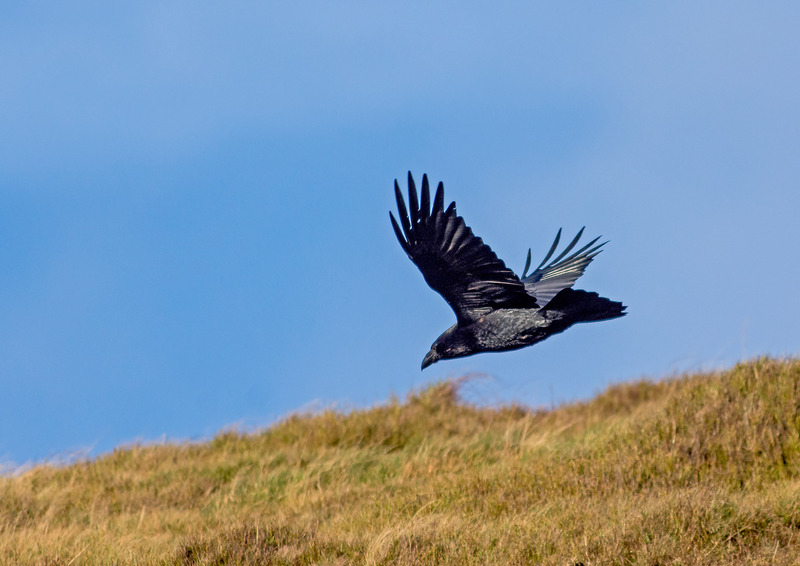 Common ravens have coexisted with humans for thousands of years and in some areas have been so numerous that people have regarded them as pests. Part of their success as a species is due to their omnivorous diet; they are extremely versatile and opportunistic in finding sources of nutrition, feeding on carrion, insects, cereal grains, berries, fruit, small animals, and food waste. 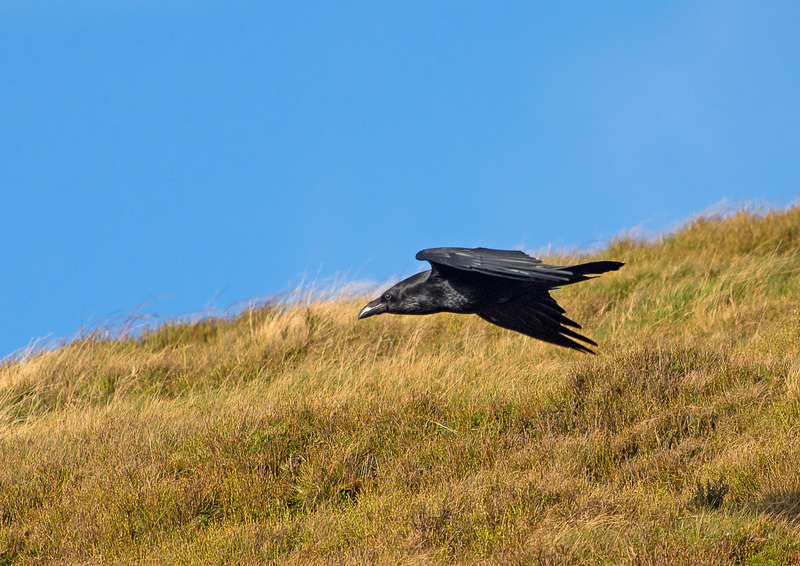 Some notable feats of problem-solving provide evidence that the common raven is unusually intelligent. Over the centuries, it has been the subject of mythology, folklore, art, and literature. 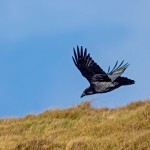 In many cultures, including the indigenous cultures of Scandinavia, ancient Ireland and Wales, Bhutan, the northwest coast of North America, and Siberia and northeast Asia, the common raven has been revered as a spiritual figure.